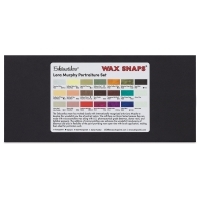 Enkaustikos Wax Snaps Encaustic Paints have the same formula as Enkaustikos Hot Cakes in a versatile, easy-to-use shape. Just snap off what you need and use at full strength for direct painting, drawing, printmaking, and more! They're perfect for small projects, workshops, and for refilling Hot Cakes tins. 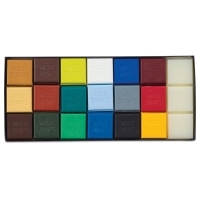 Artist-quality colors are made from the most beautiful pigments, the finest damar resin, and United States Pharmaceutical Grade (USP) beeswax. They contain no bleach or synthetic adulterants. Plus, because they're solvent-free, they require no turpentine or mineral spirits for cleanup. 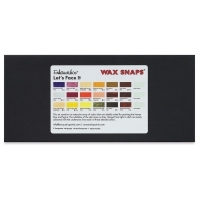 Enkaustikos Wax Snaps are so concentrated they can be diluted with Enkaustikos Wax Medium or XD Wax Medium to create thinner washes of color. Each snap is 40 ml and measures 1-3/8" × 4-1/2" (35 mm × 114 mm). Some Like It Hot Set of 18 — Experience the full color wheel with an exciting range of primary, secondary, and tertiary colors featuring a warm and cool palette. 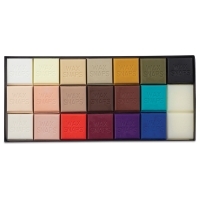 This 18-color (13 ml) set offers a nice variety of transparent and opaque pigments that opens up a wide range of possibilities for color mixing. The set also includes a 40 ml Wax Medium snap. 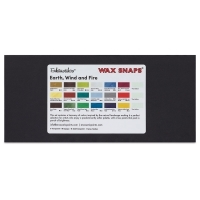 Earth, Wind, and Fire Set of 18 — This set contains a harmony of 18 colors inspired by the natural landscape. It's a perfect selection for artists who enjoy a predominantly softer palette, with a few paints that pack a punch of brightness. 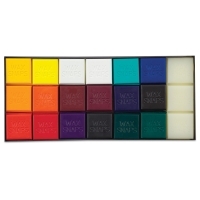 Colors come in 13 ml Wax Snaps. The set also includes a 40 ml Wax Medium snap. 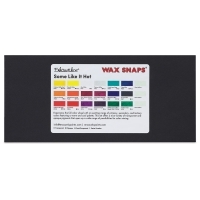 Let's Face It Set of 18 — This set includes an extensive array of colors suited for painting the human face and figure. 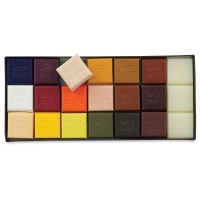 Easily achieve the subtleties of skin tones as they change from light to dark with this selection of 13 ml Wax Snaps. 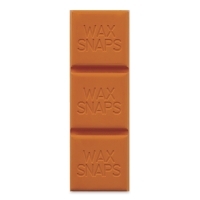 The set also includes a 40 ml Wax Medium snap.